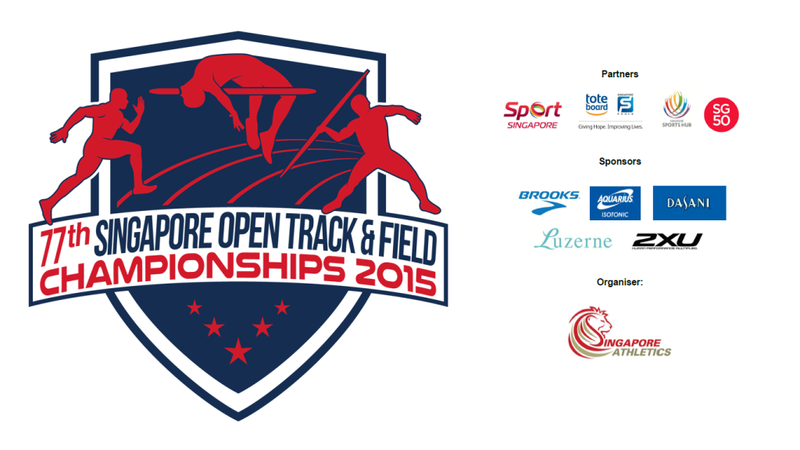 19 March 2015 – The 77th Singapore Open Track & Field Championships 2015 will be held at the Singapore Sports Hub for the first time in history on the weekend of 28 and 29 March from 9am to 6pm and will be open to the public for free. The championship will boast an array of Singapore’s top Track & Field athletes and one exciting battle will be the men’s and women’s sprint events where the likes of Calvin Kang, Shanti Veronica Pereira and Gary Yeo are gunning for individual glory and also Southeast Asian Games qualification. 189 overseas participants including Asian Athletics Championships and SEA Games medallists will be on show to challenge our local stars across 39 events. Some notable names that will be gracing the event are 2013 SEA Games Women 100m hurdles gold medallist Dedeh Erwawati, East Asian Games long jump gold medallist Kang Sang-Su from South Korea, Philippines’ multiple SEA Games medallist Rene Herrera in the Steeplechase and also Hong Kong’s quarter mile specialist Christy Lam. While the competition is stiff down on the track, Sports Hub and Singapore Athletics (SA) organisers are just as excited to use the Singapore Open as a test bed to prepare for the 2015 SEA Games that will be held at the same venue in June this year. With many successful sporting and entertainment events since the inauguration of the Singapore Sports Hub, Sportshub Pte Ltd’s Chief Operating Officer Mr. Oon Jin Teik is excited to welcome the Track & Field fraternity to be part of the family. “Track and field is a sport which has a long history and tradition in Singapore. The Singapore Sports Hub is a world class sports, entertainment and lifestyle venue which must inspire our athletes to perform and to keep pushing themselves to the limits. The Singapore Sports Hub is proud to be the competition home for our athletes and we hope that this will be the venue where their dreams are fulfilled, where champions are born, and where Singaporeans turn up in force to support our home-grown athletes,” said Mr Oon.